We have 2 weeks worth of news to catch up with right now because I got voted out and the previous editor did nothing for a whole week! Its going to be difficult as I cant see past 7 days of who died, so I will most probably miss some people out! We will start off with the big one! Maximus being killed by AVM. The story that I have heard is that AVM had an argument in family chat because he bank extorted sharlottie, this did not go down well with fellow family member Ted, who then had an argument with AVM because he used a feature of the game that he gets when he reaches level 50! To be fair, when I have reached level 50 I tended to target the richest person online. Not scared of what people think, it's a game, and you use the features that are here. Well AVM left after this argument to make his own family, The Hoods. I suspected something straight away, but peoples intentions are hard to predict or avoid on this game, AVM shot all his bullets at Maximus, who had just achieved level 50 and killed him. Tripwire then started searching for AVM, but AVM took the cowards way out, and instead of waiting to die like a man, he committed suicide. Which was a massive mistake for him, no life insurance on his next account. After this a massive mistake was made by a new family, starting up without prior preparation. CHOCOLATE started up "the devils inside" (no caps). Which was killed 6 and a half hours later by Choke. Whilst the devils inside was preparing themselves, and trying to improve, GunShot (formally known as AVM) had left protection. It was up to this times editor to take him down. So I donned my Batman utility belt, a rabbits foot, and found a four leaf clover in my garden and set detectives. Whilst conferring with family members it was recommended by Johnn that I shoot 100,000 bullets at him, luckily for me, Scotty came online shortly before I found him, and recommend I shot 200,000 bullets at him. Which I did, GunShot's backfire was set at 195,000 roughly. He died, I lived, Plainy, the natural born killer, was born. Last night, GunShot's new account once again fell to a mighty member of Death Row. Sammiiee searching for Bomaye and taking him out easily. This was after Bomayes slap talk towards me, because he could kill me, but I am irrelevant and won't bother. Bit words, and as an ancient Chinese proverb says. talk doesn't cook rice. Today's issue is going to be spiced up with some interesting What The Fudge (keeping it clean!) facts. There's a sport in Japan called Spider Fighting where people train "samurai spiders" to fight each other. Cats can survive falls upwards of 32 stories, and it's not uncommon. There is an actual doomsday clock. Just six 2x4 Lego bricks can be combined in over 915,000,000 ways. 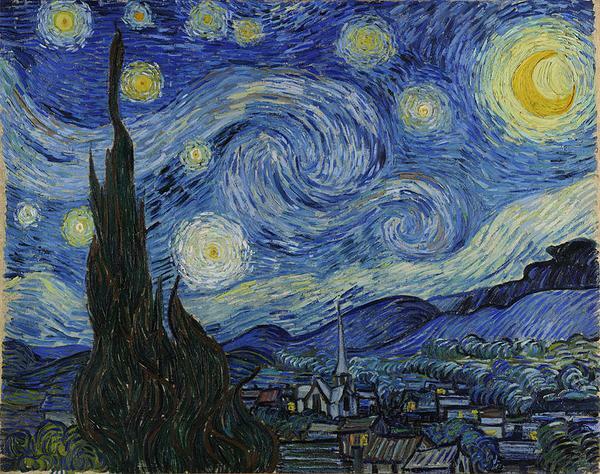 Van Gogh's masterpiece Starry Night is a depiction of the view from the window of his mental institution room. And that is it for the interesting facts! So, last issues guess the gangster was the one, the only, the ULTIMATE NOOB KILLER, Aine! Yeah, fooled you all, we had 3 people guess it was Lauryn. One person think it was Danny, the same person also thought it was Ted. 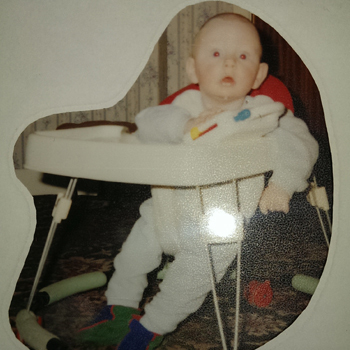 Erby and bvbdeb were guessed as well, and finally Aneko and Phizzent were named as the kid in the picture. The winner of the competition was Tripwire! Also Curran guessed correctly, after Tripwire, but he committed suicide like a douche, and got nothing anyway! Right this weeks guess the gangster is another drooling baby. Your clues are, he once had long hair, and now its short, and he is sexually curious! and on your 3rd guess, 1 credit. Are you new? Wondering what to do if you make a new family? Well a few words of advice from myself, I'm not to shabby at making families, and I think I know what I'm doing! 1) Make sure you have an underboss ready. Don't just make a family without someone you trust ready to be your underboss. You have an underboss, it makes your family harder to kill! 3) Pick a decent name, so many people make families and have really really realllly bad names. So try to get something original and new! And that's my top 4 tips for making a family! I have a nice surprise for you today! It's a Pokemon theme parody! Well, today we have Anthony with us. I've never really spoken with him before, so this is going to be an interesting one, as I have no idea where the line is! Can I or will I cross it? Lets find out! Plainy: Good afternoon Anthony, how are you today? Plainy: Fantastic, so how long have you been playing GN for now? Plainy: For the past 6 years you've pretty much only been with Rhys, do you two have a special bond? Plainy: Do you think that helps when playing on here? Plainy: Free mentors always help if I'm honest, so The Disciples has established itself as a family once again this round, and your always up there with one of the better families, any secrets to success? Plainy: 2) What colour underwear are you wearing right now? 3) If you pulled Rhys in the secret santa, what would you get him? Plainy: 4) Have you ever slept in a shed? Plainy: 5) How many dogs do you think you could walk at one time? Plainy: Well that's a wrap! thank you for your time. I'll see you next week with another installment of the times, unless something mad happens in the next few days! This issue has been viewed by 78 players and rated by 12 players.